So often people ask the question; What is the most expensive wrist watch ever sold at auction? Well, now there is a new champion to commit to your memory bank. The stainless steel Patek Philippe Ref. 1518 perpetual calendar with chronograph just sold at Phillips Geneva auction house for a record shattering 11,002,000 CHF ($11,136,642 USD) which includes the sales fees. After a gentleman-like battle between seven bidders, the final hammer went down at 9,600,000 CHF for this grail of horological significance of which only four exist in the public sphere. This event eclipsed the previous title for the most expensive watch ever sold at auction by 2.3M CHF. Almost precisely one year ago, the Patek Philippe Ref. 5016 in steel was sold to an anonymous phone buyer in the UK for 7,300,00 CHF setting a record for the time. The auction for this piece was also held by Phillips, then in association with Only Watch, to benefit research into muscular dystrophy. The record was short lived. This Patek Philippe Ref 1518 is a unique piece as it was the first wrist watch with a perpetual calendar chronograph movement. A title retained for almost half a century. First released during World War II in 1941, the 35mm piece is powered by what started as a Valjoux ebauche, then heavily modified by Patek Philippe to become the 1518. 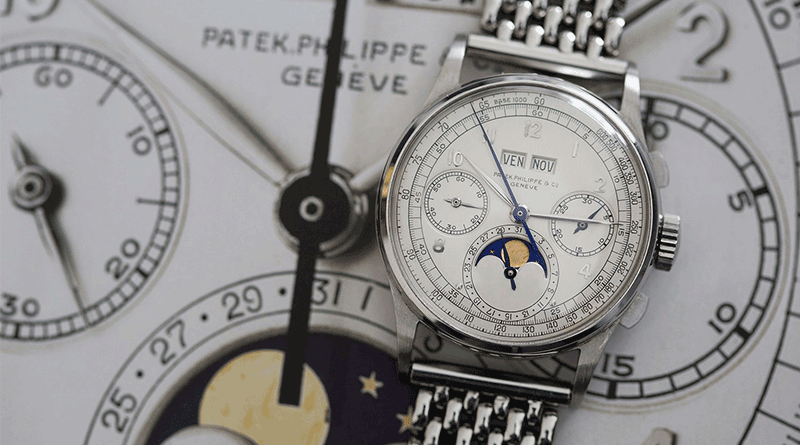 Patek Philippe only made 281 of the Ref. 1518 in total, and only four of these were in steel – the remainder in yellow gold and rose gold. Hence the watch collectors grail status applied to this rarity in steel. The yellow gold editions are still selling in the $275,000 to $575,000 range and the rose gold will fetch up to $1,500,000 at auctions. Just in case you were going to shrug off this pieces collectible nature, I’ll direct your eyes to the “1” printed on the case-back presenting this as the first of the four Ref. 1518 pieces in steel. 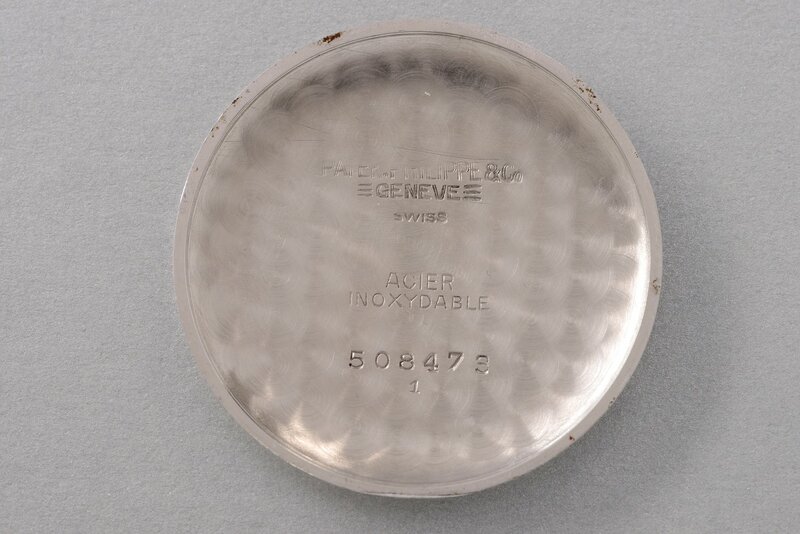 This is also the first time this piece has seen an auctions stage, another unique trait that helped etch the Patek Philippe Ref. 1518 Case No. 508473 (1) into the history books once again.